Q: What supplements do you take / recommend? A: Supplements that I use / recommend are Shakeology, Recovery Formula, whey protein powder, creatine, and a pre-workout. I use Results/Recovery Formula immediately after finishing my morning workout as a post workout recovery drink. 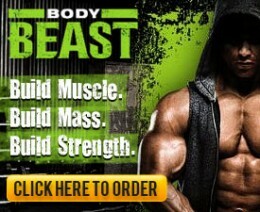 I recommend it to those who either feel sore after working out or feel wiped out later in the day after working out. It will really help with those symptoms, as they are an indicator that your muscles didn’t get what they needed post-workout to replenish and build themselves. I use Shakeology every day, as part of my breakfast. I take whey protein several times throughout the day to keep my protein intake up and meet my daily goals. When using a pre-workout, I take it about 30 minutes before my workout. A: Shakeology is probably the most popular supplement that Beachbody has to offer, and it can act as a meal replacement if you are looking to cut body fat, or as a snack in addition to your normal meals if you are looking to gain mass. Of all Beachbody supplements available, this is the only one I can’t live without, and I highly recommend this product to anyone who asks. Since starting it during my second month of Round 1, I haven’t gone a day without it! 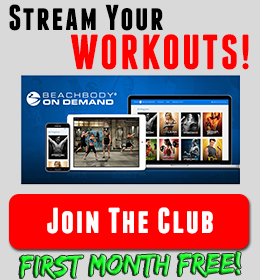 You can learn more about Shakeology by clicking here. Q: What is the Recovery Formula? A: As you know, when you workout you are tearing your muscles. Immediately after you’re done with your training for the day, those muscles you used go into “recovery” mode and start rebuilding. In order to rebuild properly, they need protein and carbohydrates to carry that protein. They “feed” your muscles and allow them to make a better recovery and get stronger! It’s good to take this after both cardio and resistance workouts. To know whether or not your body needs the Recovery Formula, ask yourself the following 2 questions: 1) Do I feel sore and tight for most of the day following my workout?, and 2) Do I feel wiped out and out of energy later in the day following my workout? If you answered “Yes” to either of these, the Recovery Formula will do wonders for you. Remember, though, it’s 200 calories, so you’ll have to factor that into your totals for the day. If you are trying to keep the calories low during the fat shredder phase, you can try ½ scoop and see if that does the trick. Q: Should I take the Recovery Formula after cardio workouts? A: Yes, you should take the Recovery Formula after every intense workout! The only one I wouldn’t take it after is X Stretch and Yoga. Q: Should I take the Recovery Formula after I work out if it’s late at night? Q: Should I take creatine? A: I use it. It’s naturally occurring in our bodies, and facilitates muscle building and recovery. There has been a significant amount of research on creatine, and I feel comfortable that it is a safe and effective supplement. I encourage you to google it and study it for yourself before deciding to use it. Read my article “Creatine Revisited” to learn about the types and dosages. Q: What do you think about the P90X Protein Bars? A: This isn’t a BB approved answer, but I prefer Pure Protein bars (from Wal-Mart). The main reason is that they are the lowest in sugar of any that I’ve tried, and keeping my sugar intake as low as possible is my goal. 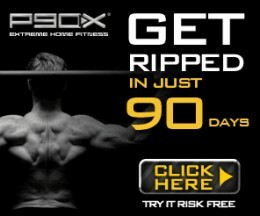 With that said, I must say that the P90X Protein Bars are very good! They contain a lot of protein (18 grams), which helps with your protein requirements, as well as a good amount of carbohydrates (37 grams), which help you keep your energy level up throughout the day. If you are on a Phase 3 nutrition plan, the P90X bars are perfect. If you are on the Fat Shredder plan, get the Pure Protein bars like I use. All protein bars are a little pricey, but they are the perfect snack to give you a boost of protein and fill you up on the go. Q: Should I take a PWO (pre-workout) before every workout, or just the resistance workouts? A: I always take it before every workout because it gives me more energy. It will help with your endurance during cardio workouts, and help you maximize your pumps during the resistance workouts. If you use a PWO that has creatine in it, you have to cycle off of it (2 months on, 1 month off). 1MR, Jack3d, etc. all have creatine in them. Beachbody’s preworkout, E&E, does not contain creatine, and thus does not require cycling. 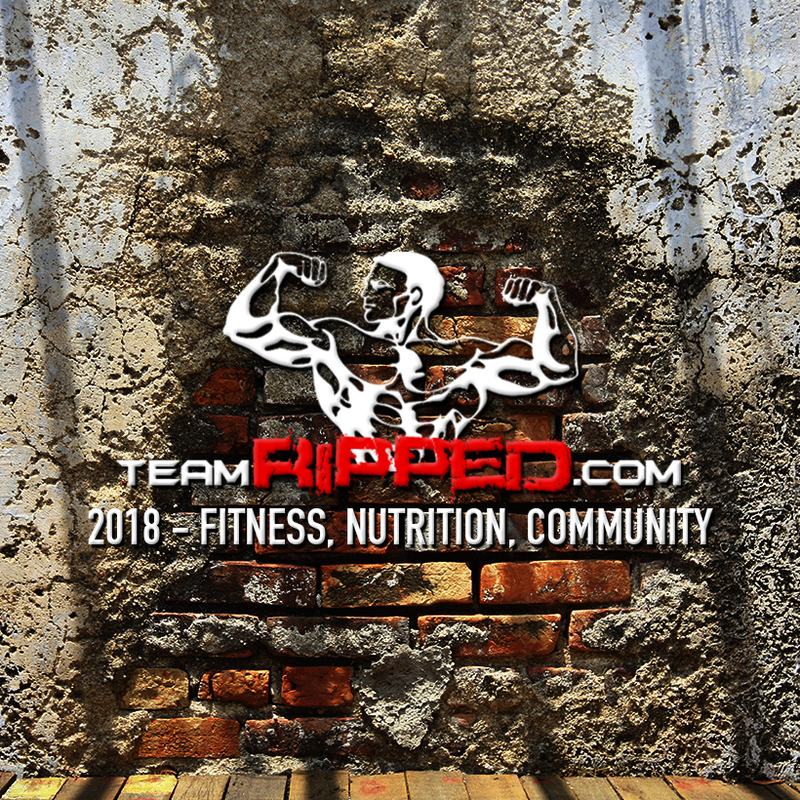 Q: Will a PWO (pre-workout) like E&E, 1MR, Jack3d, etc. affect my sleep? A: Whether or not it affects your sleep patterns depends on how your body reacts to the supplement. Since they contain high doses of caffeine, most likely it WILL affect your sleep if you take it any later than 2 or 3 in the afternoon. You need to assess your tolerance level. Q: What supplements should I take to gain mass? A: You can actually use all of the supplements that I listed above to gain mass. Remember, gaining mass has a lot to do with your diet and proper timing of supplements! Read more about tips for gaining mass in the “How to build mass” section of my Q&A, as well as my bulking diet in the “Nutrition Tips/ Sample Diets” tab.